My boyfriend and I drove to Niagra Falls to experience the American and Canadian coming-of-age ritual of donning Freedom Blue or Maple Red ponchos and getting buffeted by the Falls’ sprays. Staring slack-jawed at the base of 6 million cubic ft of water crashing down per minute. Trying for the first time ever, the infamous dish that is uttered infrequently by American tongues: poutine. All I knew about poutine is that it’s a gravy boat dumped unceremoniously on a platter of thick fries and sprinkled with puffy cheese curds. It’s a dish so indulgent that even the U.S. of A, where fried butter sticks and turducken exist, shudder at the thought. So where best to lose our poutine virginity, other than its motherland? 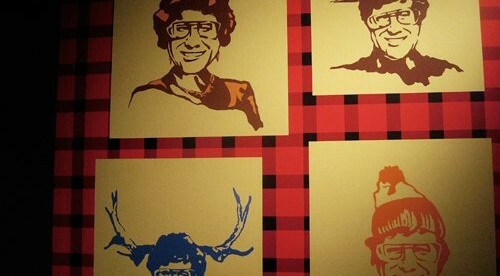 We sought out Smoke’s Poutinerie, the only poutine-serving venue in the tourist town of Canada. Detached from the flashing Applebees and Friday’s, the walk to the shop took us away from the dazzling tourist traps and down quiet sidewalks with dilapidated houses and motels. Snuggled under Victoria’s Motor Inn, a black-and-red checkered sign emblazoned, “HOW DO YOU LIKE YOUR POUTINE?” signified our arrival. I, a poutine virgin, had no idea what to expect and certainly did not expect an exhaustive menu including items like “Country Style”, “Nacho Grande”, and “Veggie Rainbow”. Wait, are we still talking about french fries? Holy smokin’ mother of perogy – it’s like Thanksgiving when you pile your plate with everything (mashed potatoes always on the bottom) and drizzle that behemoth with gravy and shovel it all down. Except this is much neater. The fries were golden and just crispy enough to complement the sogginess of Smoke’s signature gravy, topped with gooey cheese curds that melted and entwined around my fork. On top of that gastronomic heaven, I had a generous helping of perogies plopped on my fries and doused in sour cream and bacon bits, just like how god must have envisioned the world. 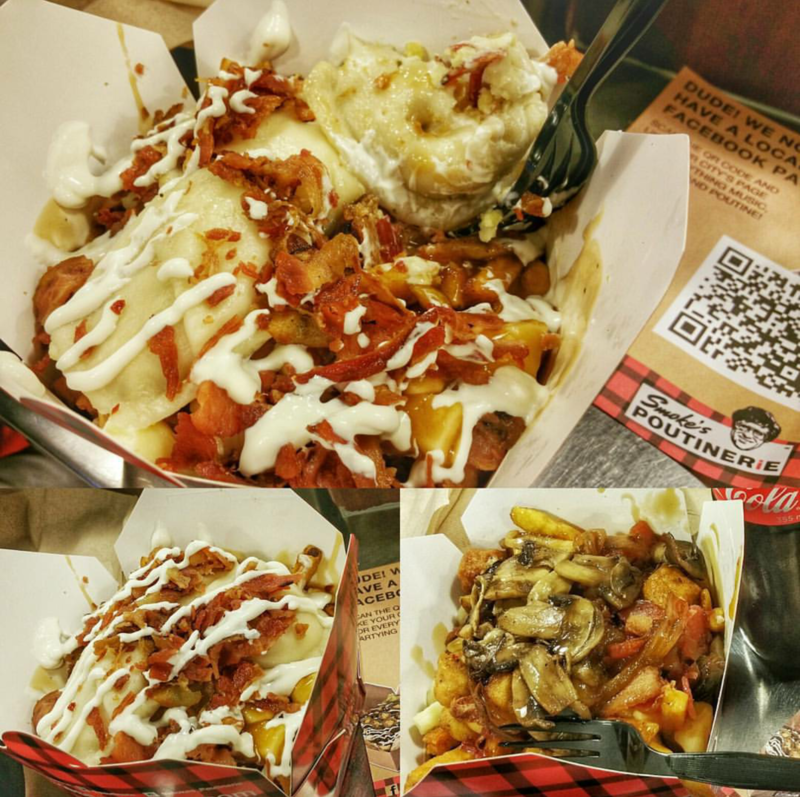 Aptly and proudly proclaiming, “clogging arteries since 2008”, Smoke’s Poutinerie doesn’t exaggerate when it comes to heaping bowls with stratum of meat, nachos, mushrooms, perogies, whatever imaginable. The only thing that left a bad taste in my mouth is that Smoke’s is mostly located in Canada and three lucky (SUPER LUCKY) cities in the U.S.: California (they get the best of everything, except for the whole drought thing), Nevada, and Florida (I guess the gators can have ’em). Please Smoke’s, come to NYC where the frenzied foodies seek gustatory havens like yours.